Bald Eagle Release Scheduled for February 19th! — Raptor Education Group, Inc.
Great news! The Bald Eagle Release is set and will happen in Sauk Prairie at VFW Park, Sunday 2-19-17 at 1 p.m. This release will be much more relaxed with many less people attending. So please come and help up celebrate. We will not have crowd control or perimeter tapes, so please help us by not bring dogs to the release. Also, please do not let children reach out to touch the eagles. That contact is not permitted though our USFWS permits. Five to six eagles will be released on Sunday. One eagle is an adult, one is 4-5 yrs old so is nearly fully mature, one is a two year old and 2-3 will be immature birds that were hatched in the spring of 2016. All of our birds are special but one is has a fascinating case and has been in the news. 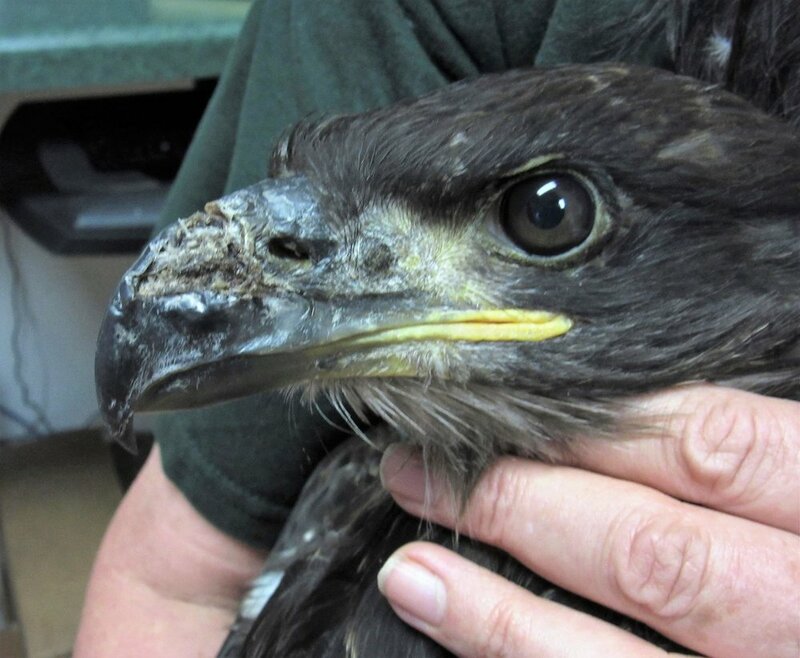 He is the eaglet from Bass Lake near Tomahawk that was hit with a bottle rocket that was thrown into his nest. He suffered serious burns to his face and damage to his beak. He is now ready to be released to the wild. The Lemke family that found this eaglet will be on hand to bid him well and see him released to he wild. The photos below are of this eagle on the day he was admitted to REGI. Tomorrow the eagles will be banded in preparation for their big day of freedom. Exciting times!!! Hope to see many of you there!